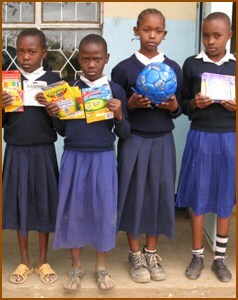 Africa VIP Travel Ltd believes in giving back to the community by helping support local schools in need. A portion of our proceeds is donated to local schools to improve education. Donations help provide supplies for schools and tuition for poor families. While visiting in Tanzania, we welcome you to visit the school we have been helping for the last five years, Laroi Primary School. It is a public school located just half an hour south of Arusha city. We helped complete two unfinished classrooms, including one library and the head teacher’s office, as well as providing 24 students’ desks.